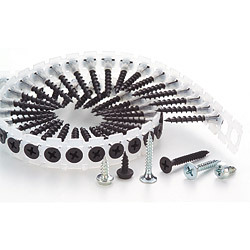 Professional Fastener Manufacturer- Screws, Bolts, Nuts, etc. 1. Drilling time 1.0 sec max. 2. Test plate thickness: 0.7mm X1PC. 3. Loading weight: 15 KG. 1. Material: carbon steel, stainless steel. 2. Head type: bugle, pan framing. 3. Drive type: Phillips, star, square. 4. Thread type: twinfast (fine) thread, coarse thread, hi-low.